It all started as a series of student-led Model League of Nations simulations. The League of Nations was idealized by Theodore Roosevelt, an American president., when he won the Nobel Prize. Roosevelt said: “It would be a masterstroke if those great powers honestly bent on peace would form a League of Peace”. The league was created and after the Second World War, it was transformed by the United Nations and this new organization has the objective of maintaining international peace and security, promotes human rights, fosters social and economic development, protects the environment, and provides humanitarian aid in cases of starvation, natural disasters, and armed conflicts. The Model of the United Nations, called as Model UM or MUN, is an educational simulation and a kind of academic competition, in which students develop different areas of knowledge, like researching, public speaking, debating, writing skills, teamwork, critical thinking and leadership abilities. It is classified as an extracurricular activity. Some schools have it like classes. 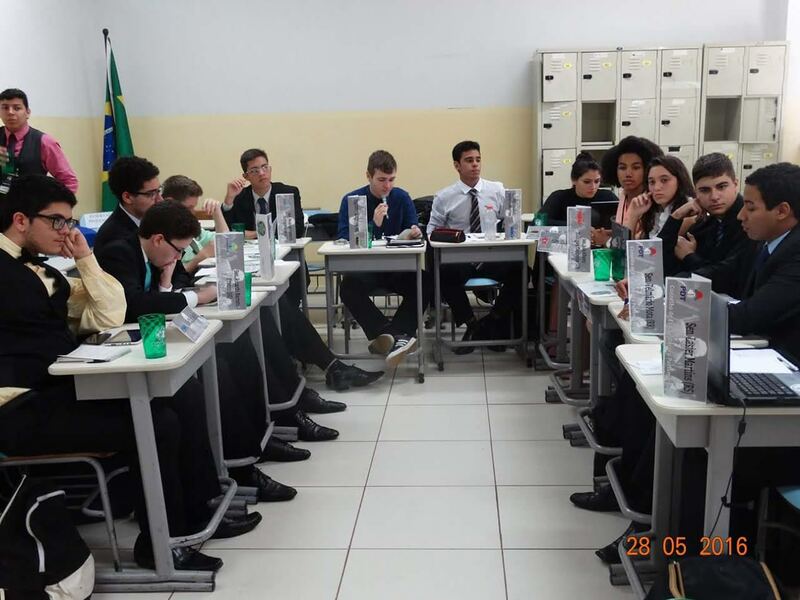 When you are participating of a MUN, you can learn about Diplomacy, Law, Economics, Political Sciences, climate changes, History, Geography, International Relations and, of course, United Nations. The participants are called delegates. This conference is placed in committees and assigned countries. Maybe, other organizations or historical-political figures, where the delegates have to be these people and represent their interests. Every committee has a theme, based on current or historical events, problems, situations or wars. Delegates research about their subjects and they study “foreign policy” of their representations or countries. After this part, the delegates have sessions in their committees to discuss with other delegates, according to their current positions. At the end of a conference, the best-performing delegates in each committee are sometimes recognized with awards. During THIMUN 2010 from ISM delegation, a mysterious and very intelligent delegate said: “We are not developing nations, we are not developed nations, we are the United Nations”. And I think that it is one of the reasons that we all delegates are running for.